A few days ago, my friends and I went on a beer adventure and we found this little hidden gem call Czigmeister. 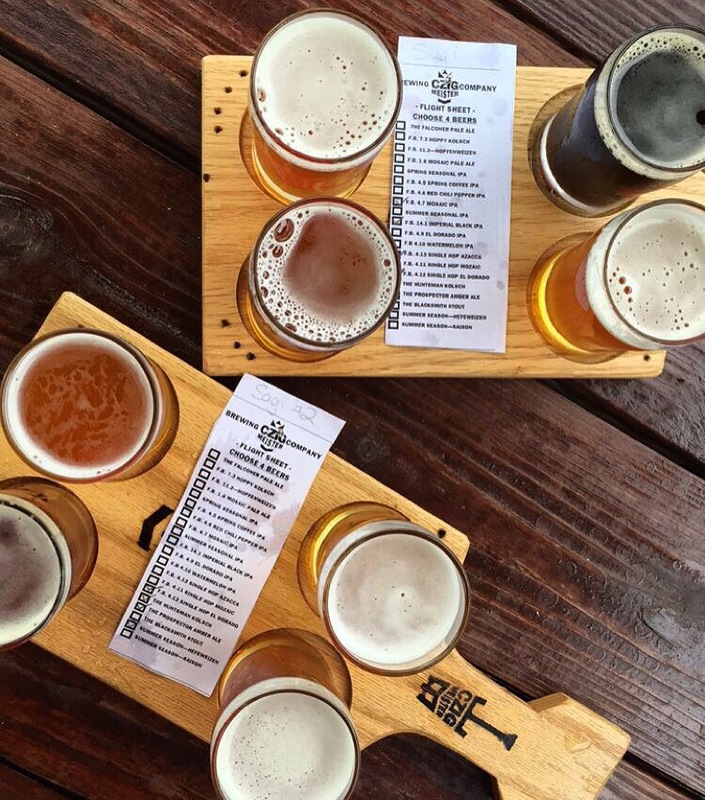 Czigmeister is this cool, hipster brewery located in Hackettstown, NJ. The environment is super chill & all they have is beer- no food. However, the upside is, you can bring whatever kind of food you would like. You could stop by your local grocery store and pick up some finger food, such as: chips & salsa, chips & dip, chips & guac (can you guess what my favorite finger food is?) or you can order delivery. Either way, it’s a fun time. Like I mentioned in my previous post, we found this cute little store in Califon, NJ. This store has been around since the 1990’s, it still has that rustic feel to it. The store itself is small, but big enough to have a deli/hot sandwich station and be a small convenience store. The deli/ hot sandwich section is THE BOMB! 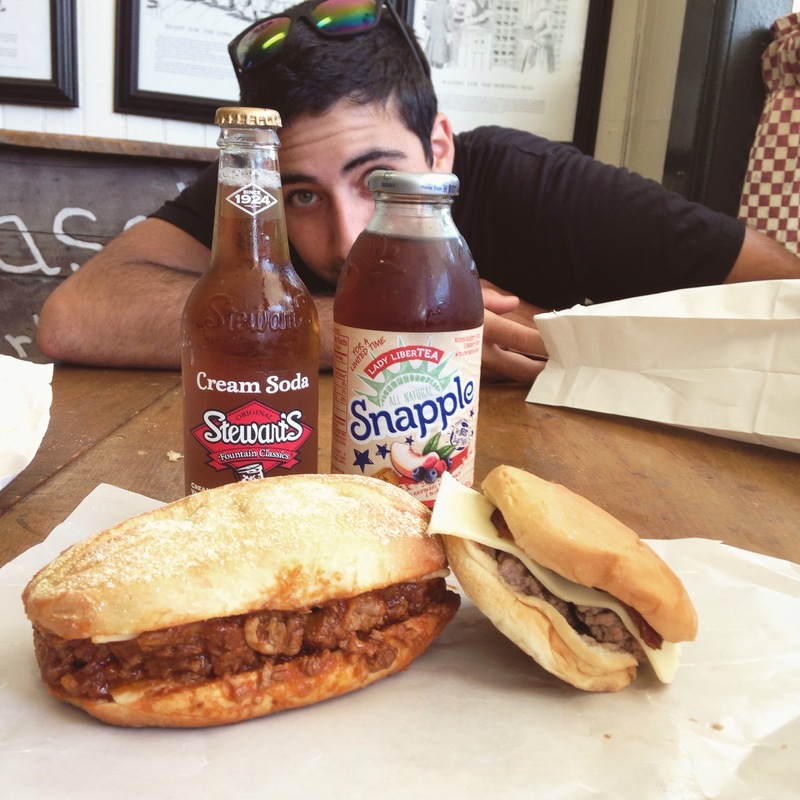 We got a pulled pork sandwich, so fresh and delicious. We also got their famous burger. We usually get our burgers medium well, but this only had one option of cooking it well. So we were a little disappointed at first, but let me tell you…that was the BEST well done burger I’ve ever had. It was so juicy and soft, it almost feels like it melts in your mouth. You just have to try it out for yourself! Do you have a favorite place to eat after a long bike ride?? A few days ago, my boyfriend and I decided to go to the Paramus Mall. We walked around and shopped a little, but we were really there for the food. 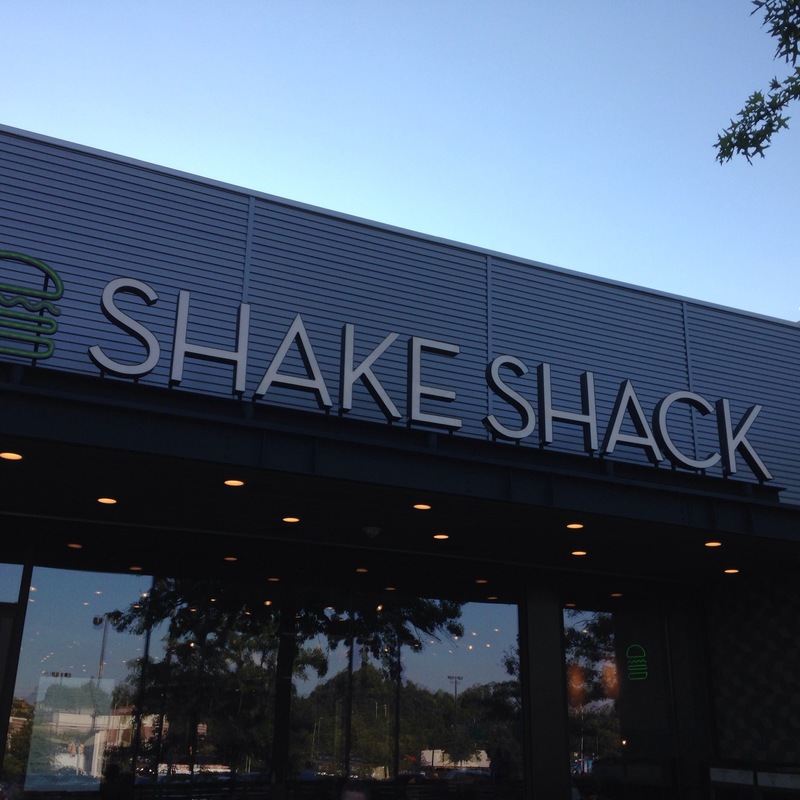 Little did we know, there is a Shake Shack at the mall, and I’ve heard about this delicious restaurant all over social media. I walked in and it feels like the Noodle Factor. The menu is small, but it doesn’t need to expand anymore. We got a roadside burger: sautéed onions, beef burger, cheese, and toasted bun. We paired it with a side of fries, which were perfectly crispy and soft on the inside. The burger itself is SO juicy and soft on the inside, it wasn’t overcooked, it was perfect. It basically melted in your mouth with every bite. 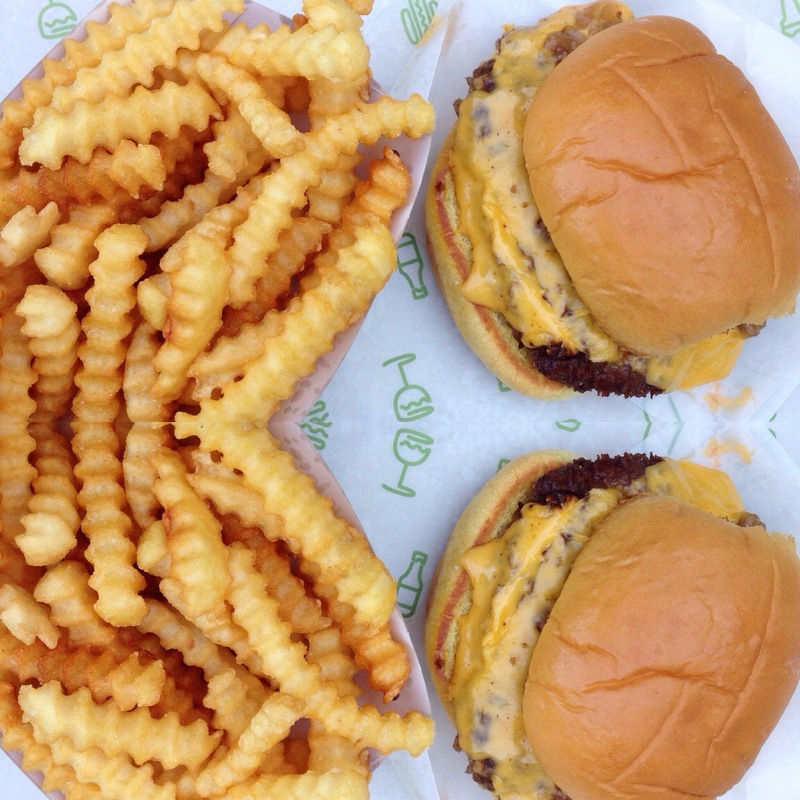 Oh, I wish I lived closer, because I could really use a Shake Shack burger right about now. 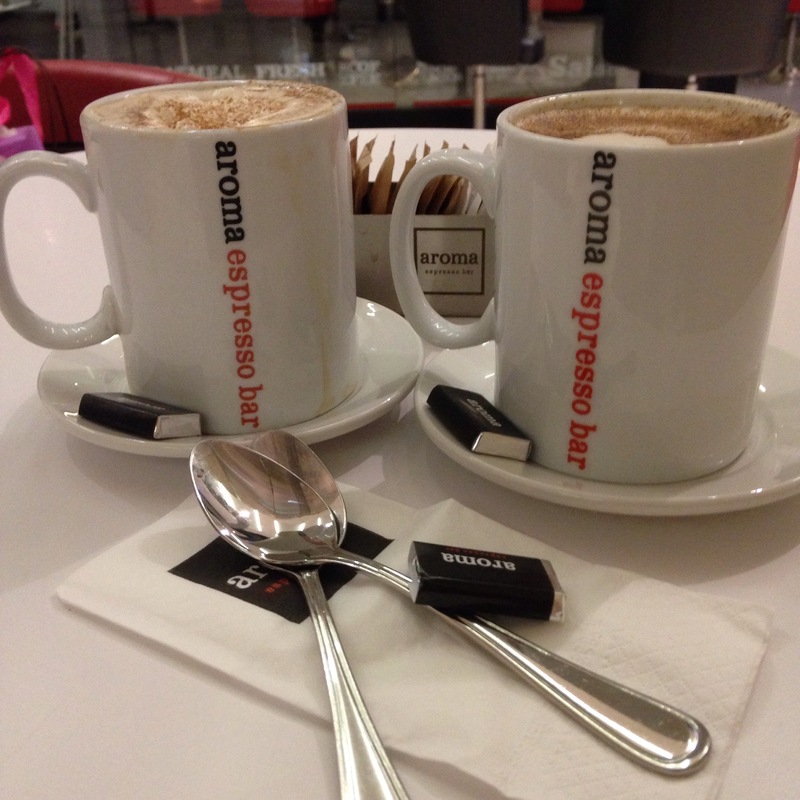 Next, we went to this coffee shop call, Aroma Espresso Bar. 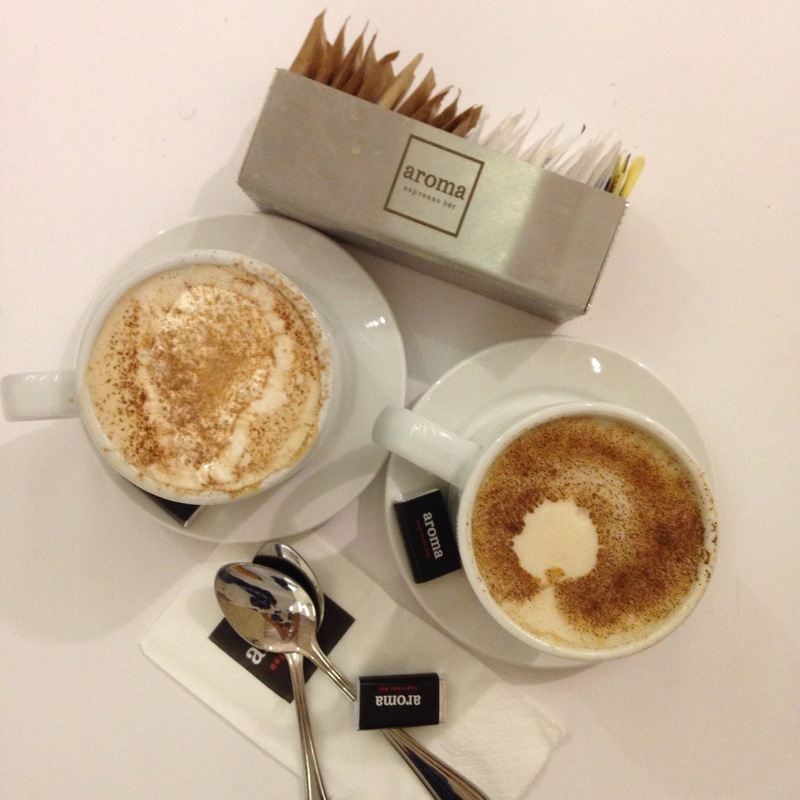 My boyfriend ordered the Aroma coffee, which had chocolate bars inside, espresso, and homemade whipped cream. It was the perfect amount of sweet and bitter, and I don’t really like coffee myself. I got a chai latte, because it’s my favorite drink in the world. I honestly doesn’t taste like any chai lattés I’ve ever had, but in a good way. I can’t even describe it, it taste like a vanilla latte, and it’s so delicious. I would recommend this café to everyone. Let me know if you guys have ever been to those places before! 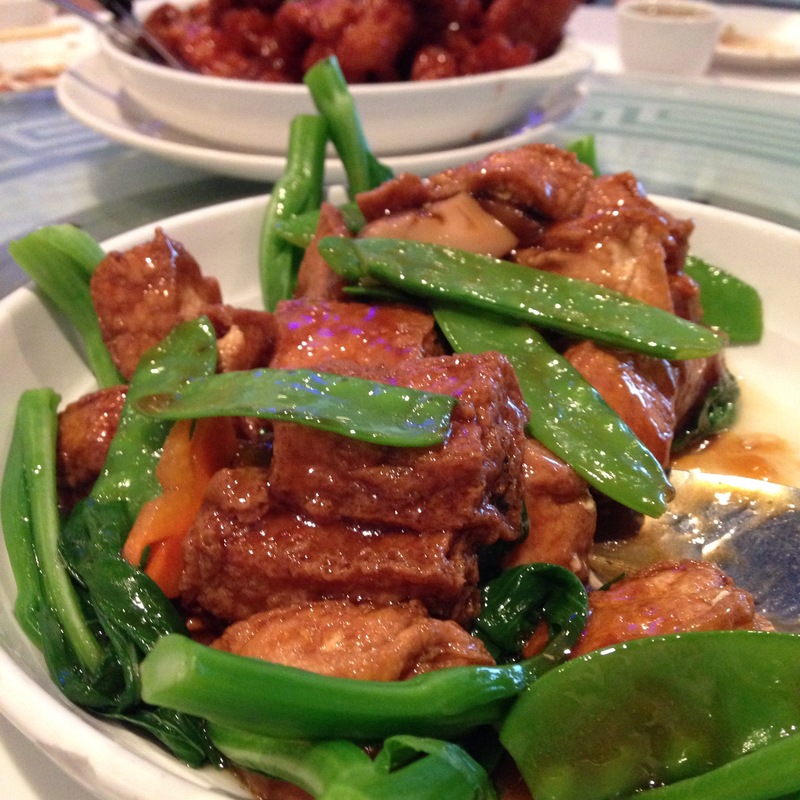 Fried tofu with Chinese vegetables (紅燒豆腐). The tofu was perfectly pan fried, but soft on the inside. It was surrounded by bean curd and Chinese vegetables. It was so juicy and savory. Definitely recommend this dish to all the vegetarians and non-vegetarians out there. 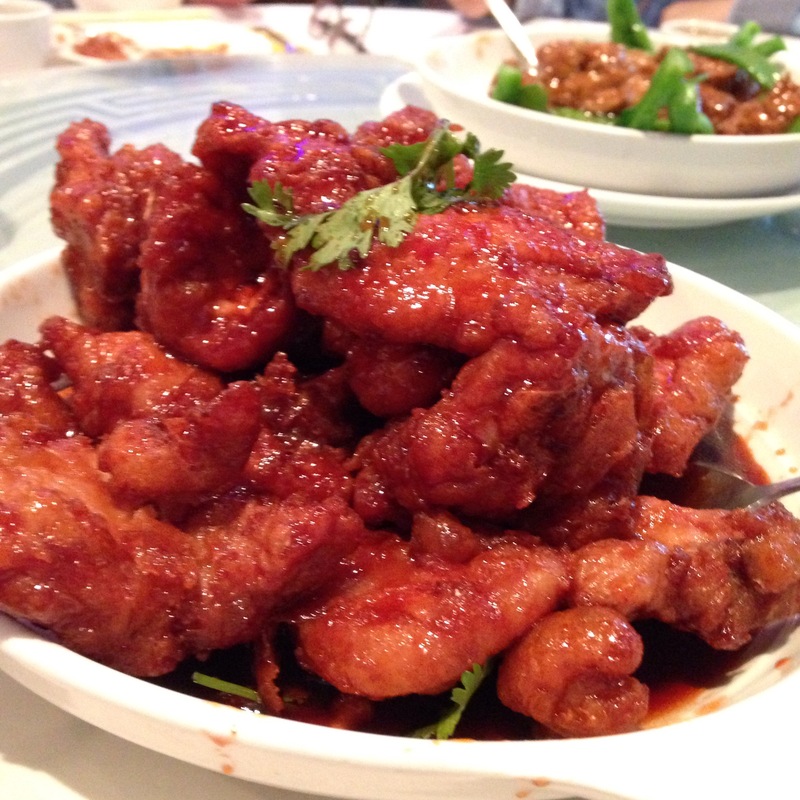 Sweet & sour ribs (京都骨). This was really crispy on the inside and the sauce is sticky. It was like a burst of flavor in your mouth. 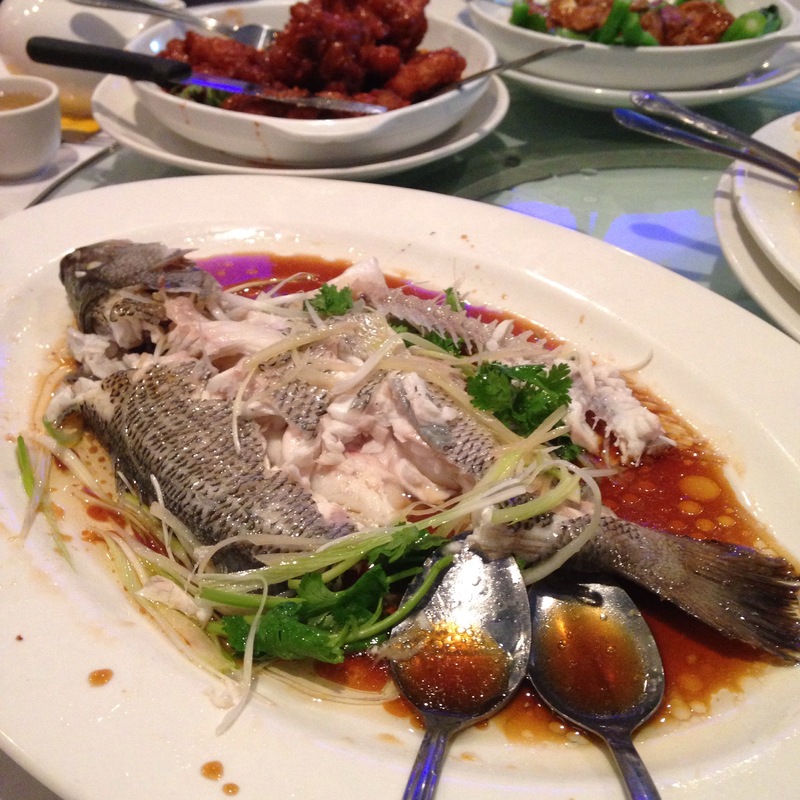 Fresh steamed fish (盲曹魚). This was really delicious, you can really taste the freshness. However, this dish is definitely not for everyone. But, if you’re Chinese and have had this before, then this probably looks awesome to you. 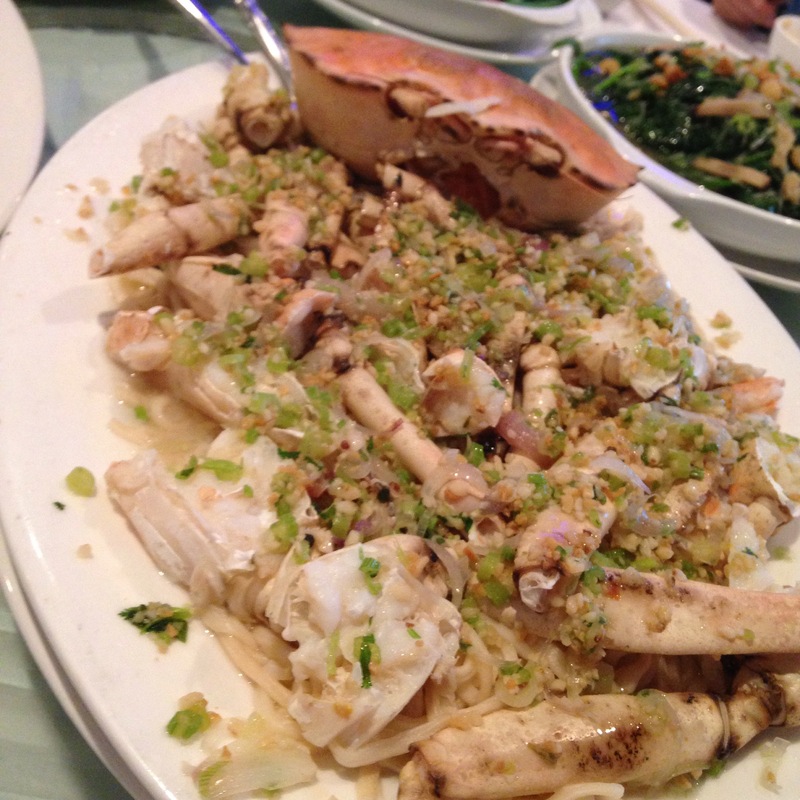 Steamed crab with garlic, ginger, green onions, on top of noodles (清蒸水蟹伊麵底). It has really strong flavors, but I was really looking forward to pan fried noodles and crab, rather than steamed. Overall, it was still delicious, but difficult to eat. All of our food. 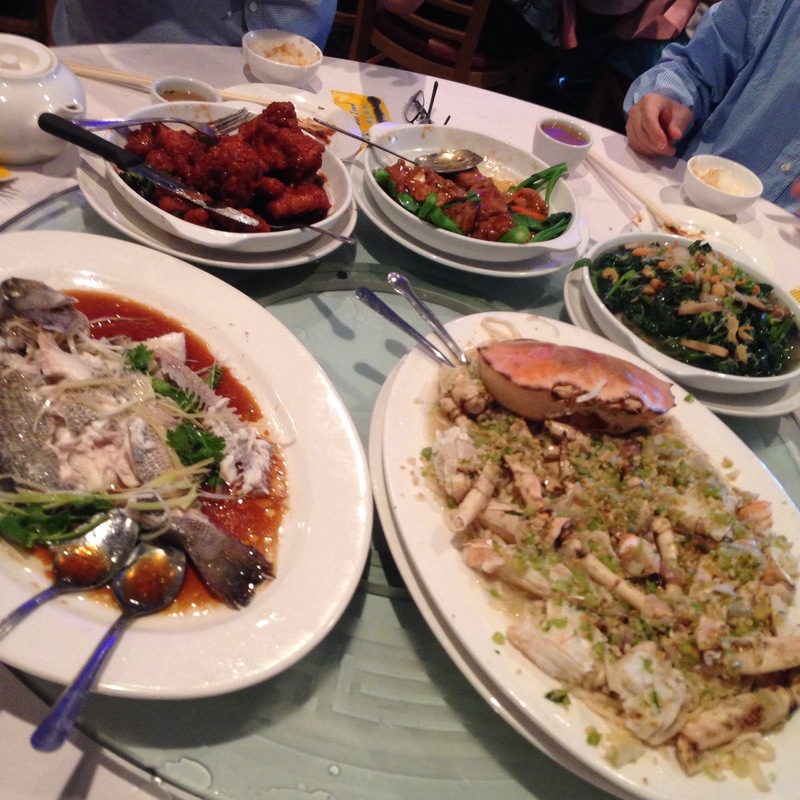 This past weekend, my family and I went to one of our favorite Chinese restaurant in New Jersey, call Canton Palace. The address is: 216 W Main St, Somerville, NJ 08876. We went with our family friends, since they were moving away, we wanted to have on last get together. My family and I come to this restaurant often, because their food is really delicious and affordable. The service is really nice, but the atmosphere is a little hectic. I would definitely recommend going to this restaurant if you ever get the chance. I’m really picky when it comes to food, given that I was born in Hong Kong, I have really high expectations when it comes to Chinese food. And this place is really authentic and the flavors are great. I give this restaurant a 10/10. Recently, I went to Six Flags Great Adventure Amusement Park in Jackson, New Jersey. This is probably one of the best amusement parks in New Jersey, it’s also one of the few amusement parks in New Jersey as well. I’ve been going to Six Flags since I was 14 years old. I remember the first time I stepped foot onto Six Flags, I thought it was the coolest park ever. Side note: it was also the first amusement park I’ve been to in America. I ran through the park and waited in lines that took more than an hour, but I didn’t care. Back to my Six Flags adventure yesterday, it was the perfect day to go. It was sunny at times, but it was mostly cloudy. It was still hot enough to be outside in shorts and a tank top. The clouds gave us the perfect shade and breeze that we needed really badly, from standing outside in line all day long. 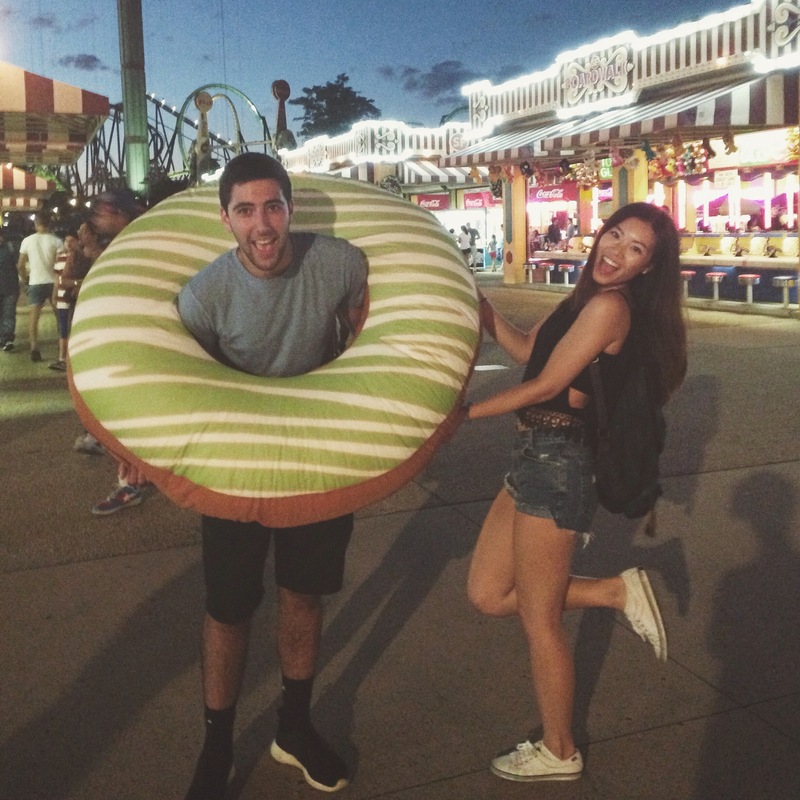 At the end of the night, my boyfriend played a basketball game and won me a GIANT donut pillow. (Scroll down for pictures.) 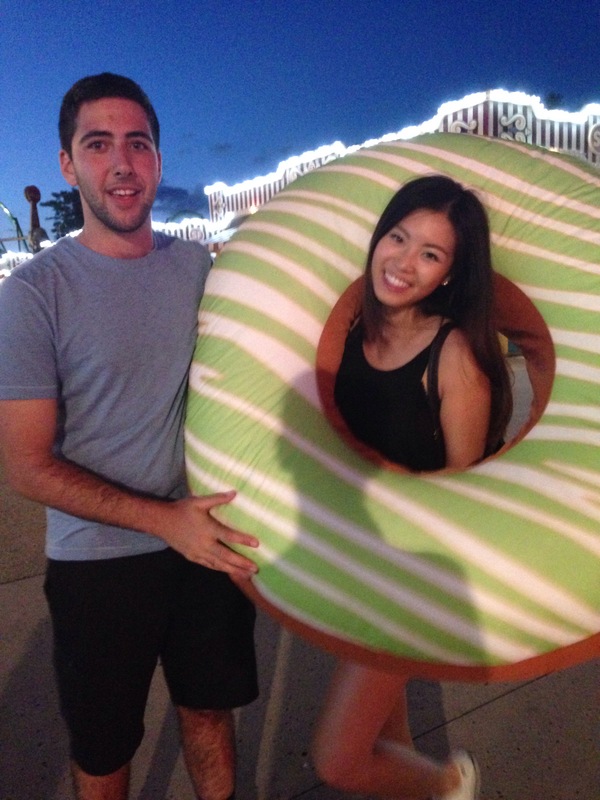 It was so nice to see that he won it for me, even though I donut (ha, see what I did there?) know where to put it in my room. It’s almost as big as me! Overall, it was definitely an eventful day. We also recorded part of our day, so if you’d like, you can check out my vlog here. If you like the vlogs along with my blogs, then comment below and I’ll start doing it more! Shoes: Keds // Shorts: Thrift Shop // Shirt: Dr. Jays // Bralette: JCPenny // Backpack: Thirft Shop // Donut Pillow: BAE WON IT FOR ME! 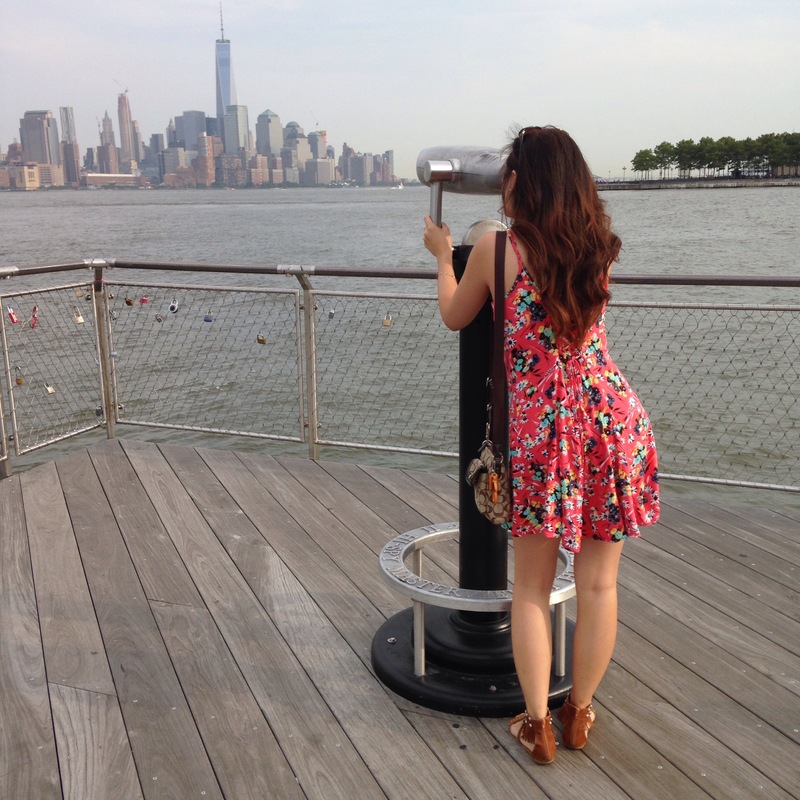 Looking at bae, aka NYC ❤ I whip my hair back and forth, haha jk. My family and I decided to go to Hoboken, New Jersey for the first time in forever yesterday. The breeze felt so nice against our skin as we stepped out our car. We saw a local soccer game happening, it was real intense. We walked on the “board walk” area, which basically is just a walkway along the side of the Hudson River. 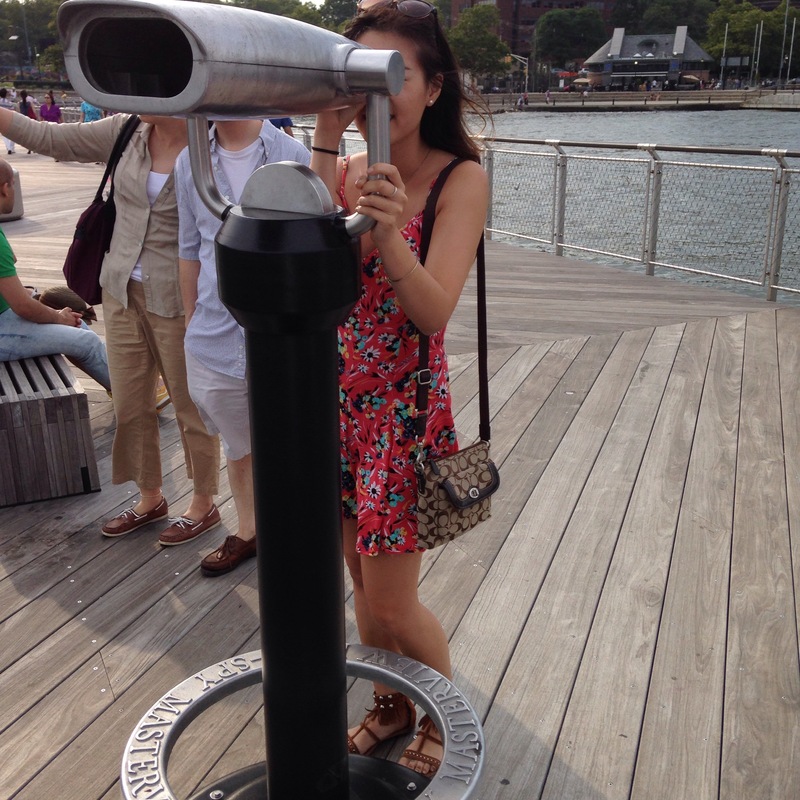 As you look up, you’ll see a small image of New York City right in front of you. It looks so small and peaceful. New York City looks so quiet from afar, all the stress and pollution seem to disappear. The water looks so calm and rough at the same time from the wind. 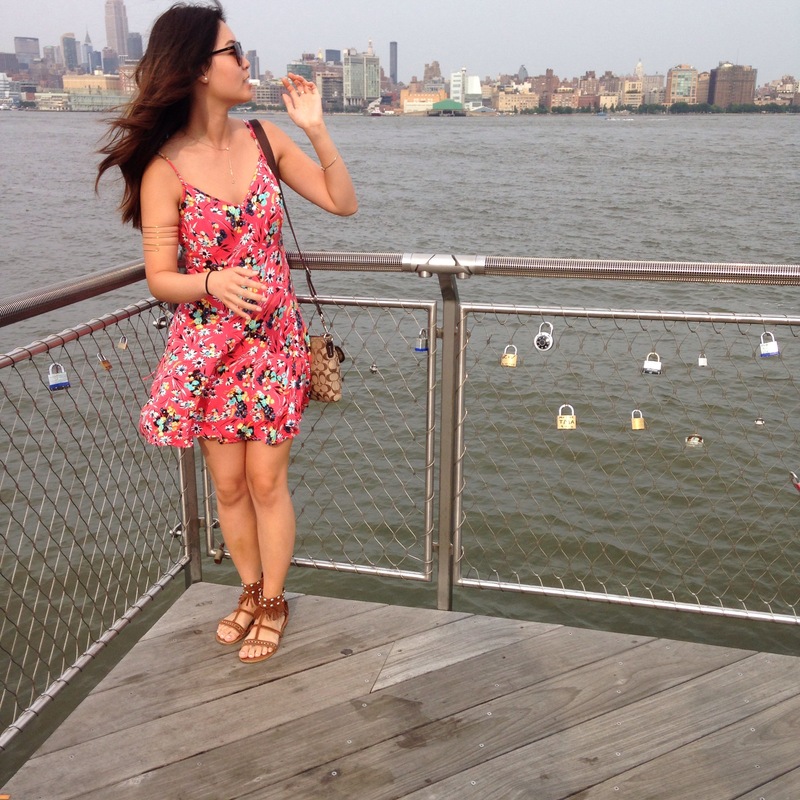 So let me tell you a little bit about Hoboken! Hoboken is basically a NYC, but less crowded. It has all the advantages of a city, like beauty scenery, restaurants everywhere, late hours, etc. except less busy. My outfit is a super boho, casual outfit that I would wear everyday. The dress has a simple floral pattern on it, it’s from JCPenny. You wouldn’t think you could find cute clothing at JCP, but you’d be surprise. The sandals are also from JCPenny as well. I’ve had them for years, so they’re kinda old. The studs are also falling off of them, I need a new pair! My bag is from coach, super slim, but big enough to hold everything I need. The arm band is from Icings, it was super inexpensive and it’s actually my sisters. It just added a little more boho feel to the outfit. Lastly, my sunnies are my usual ones from Target. Super comfy and super stylish. 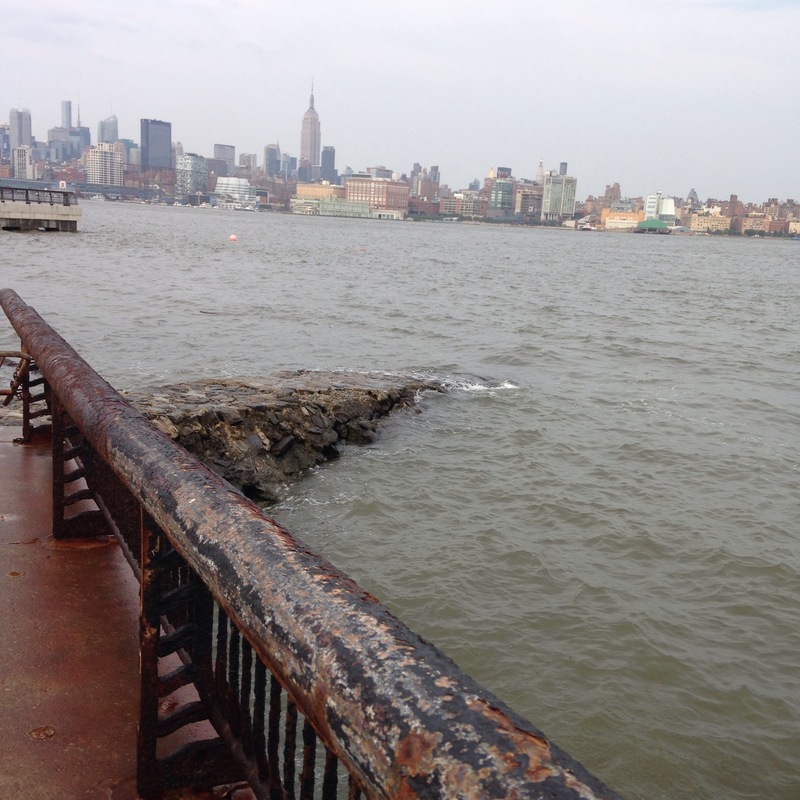 Have you been to Hoboken? If so, where should I check out there?? Yesterday, my boyfriend and I were hanging out and decided to take a stroll in Chester, NJ. There’s this new cotton candy store that just opened about 3 months ago. 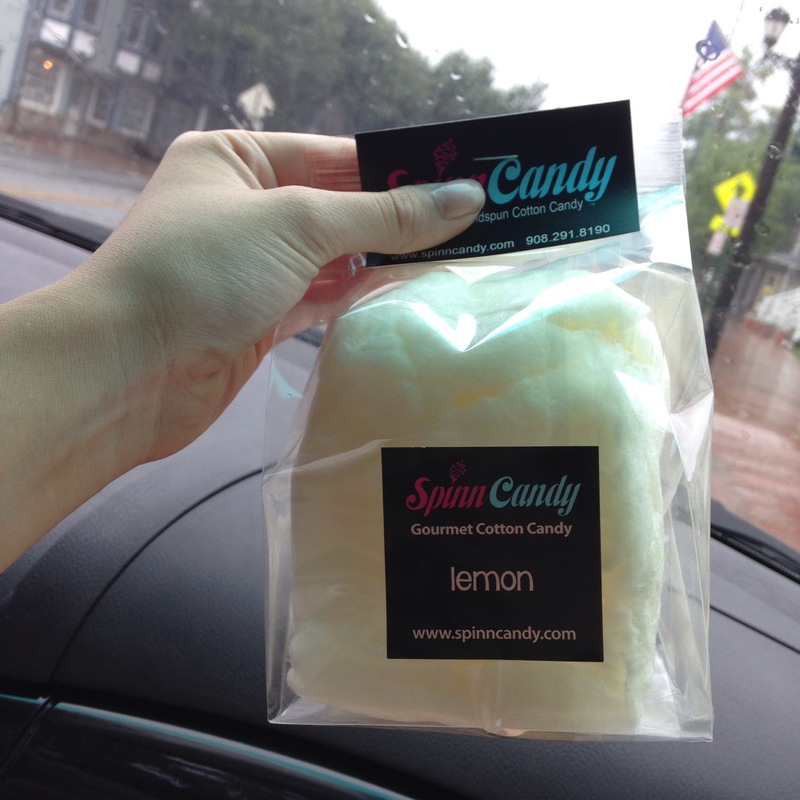 It’s call SpinnCandy, they sell gourmet cotton candy. 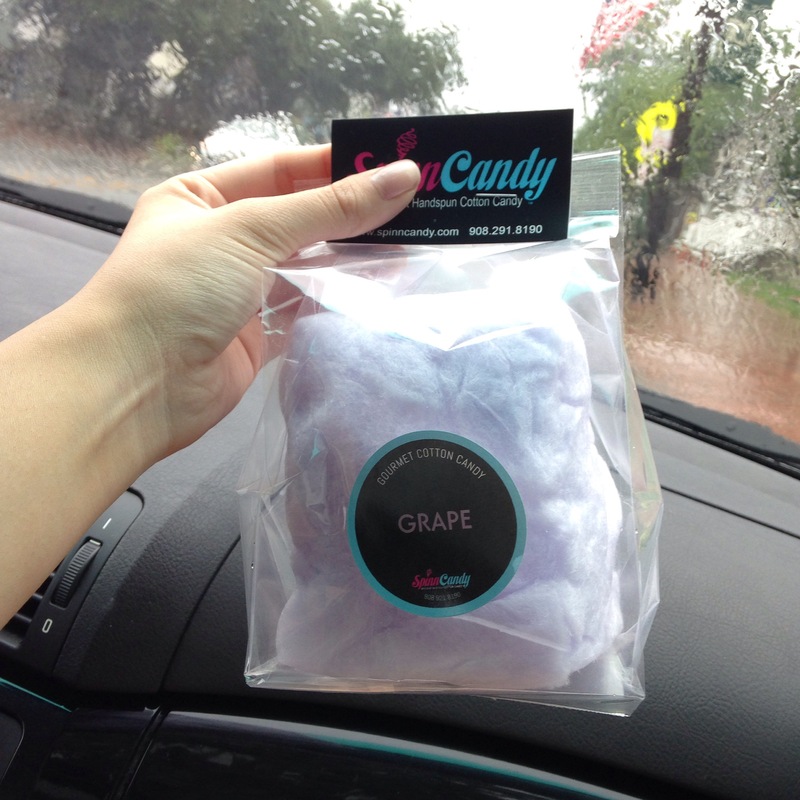 So basically, it’s not your average cotton candy that you can get from a carnival. The flavors are also super unique and definitely great for all ages. We got a total of 5 flavors, because if you purchase 4, you get the 5th free! “What a deal!” – my boyfriend. In my mind, all I was thinking about, “that’s SO much sugar right there.” But, you can’t keep cotton candy away from a cotton candy lover, aka my boyfriend. Now, I’ll provide you with a review of the flavors we got. 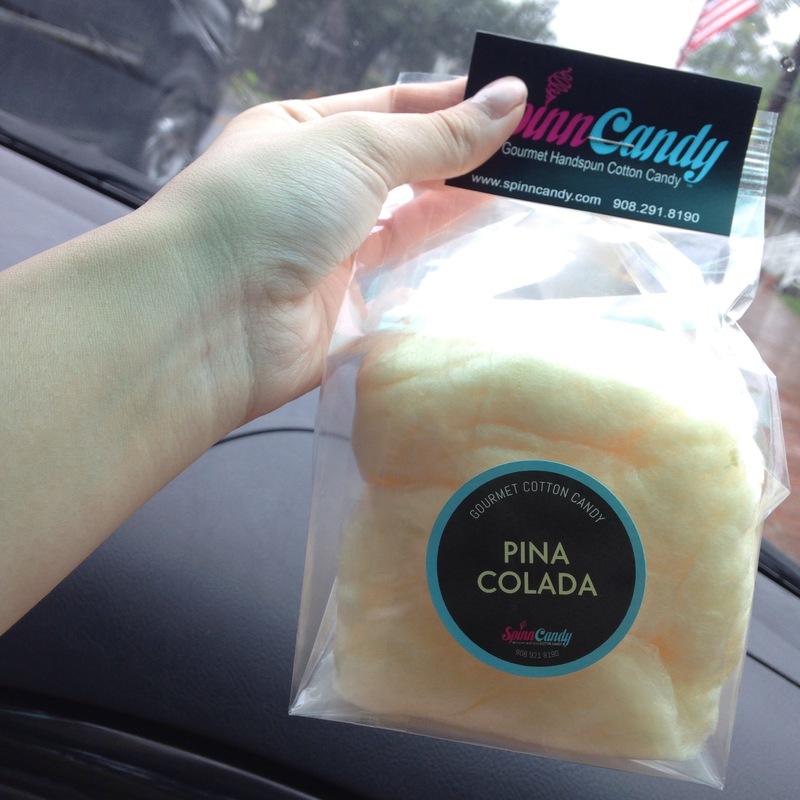 First flavor: Pina Colada. Let’s be real, who doesn’t love Pina Colada as a drink? I know, I do. It’s so refreshing and so delicious. 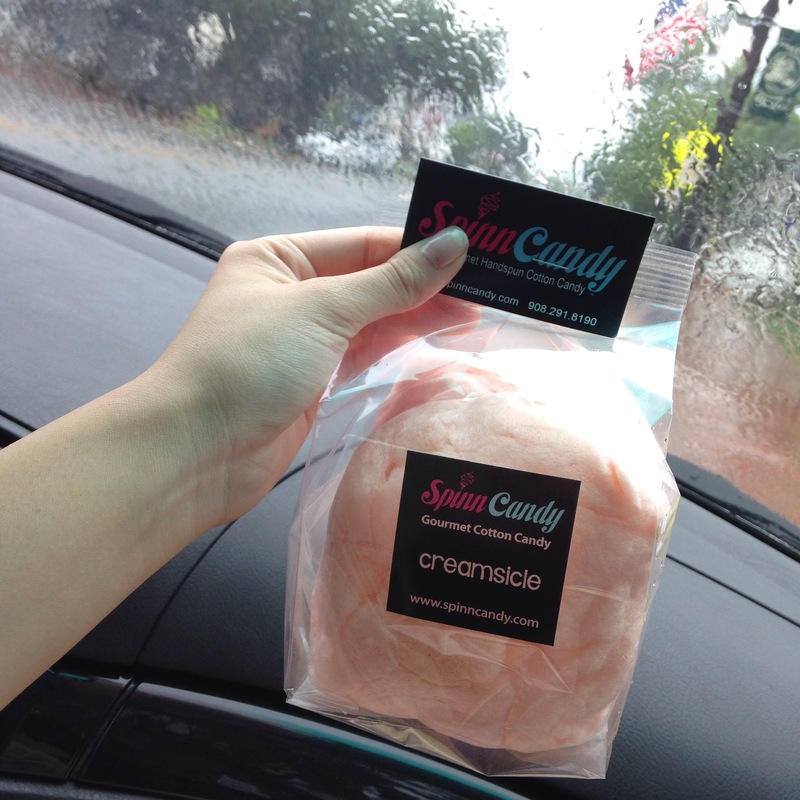 In this bag of cotton candy, they definitely captured that flavor in it. You can taste the fresh pineapple taste. There wasn’t really much of a coconut taste, but the pineapple flavor made it taste really refreshing. I give this flavor a 9/10. Marshmallow, the favorite treat everyone loves during campfire. My boyfriend made a joke on how we can use this cotton candy and make s’mores at the bonfire. Lame, I know haha. The flavor just tasted like cotton candy, without any flavors. 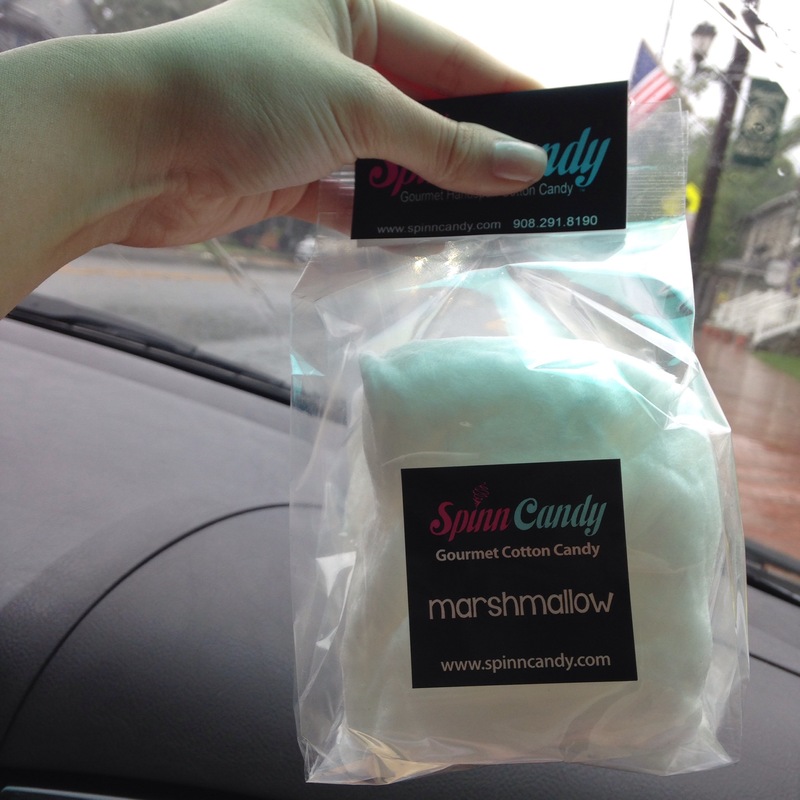 It tasted like straight spun sugar in a bag. But, I guess that’s really what marshmallow is suppose to taste like. I’m not a sugary person, so this flavor wasn’t one of my favorite. However, I give this flavor a 8/10, because it really captured the flavor well. Oh lemon flavor, I saved this for last, because I was actually really interested as to what it would taste like. But, I was so disappointed when I tried it. It tasted like straight on bananas! 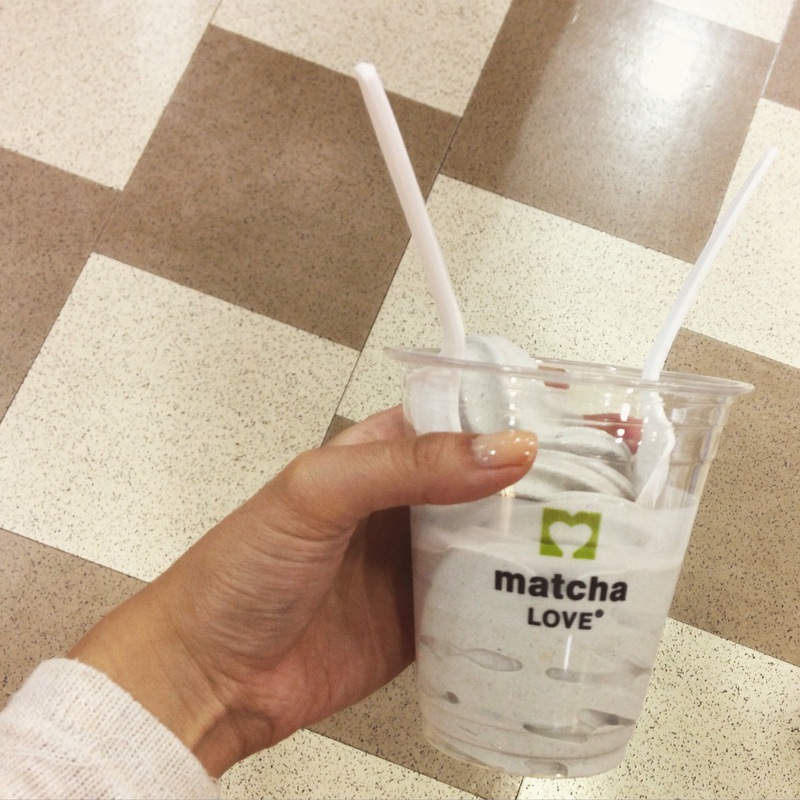 Although the banana flavor tasted really delicious, but it just wan’t lemon. I think they might of labeled it incorrectly, because there is a banana flavor. If I were to rate this for the lemon flavor, I’d give this a 0/10. But for a banana flavor, I’d give this a 9/10. It’s grape to meet you, that’s me trying to be punny. XD Anyways, this grape flavor tasted like grape cough syrup. I was expecting it to capture the refreshing taste of grape, but then again, it’s hard to capture the natural flavor of grape. I wasn’t a big fan of this flavor, but the color is absolutely beautiful. I love purple! I’d give this a 7/10. Lastly, creamsicle. This flavor was the bomb! It literally tasted like a creamsicle pop on a hot sunny day, except this is cotton candy and my hands were super sticky afterwards. The flavor of the orange is really mild, so it was hard to taste, but the vanilla taste was a little more strong. I give this flavor a 9/10. If you live in the NJ/NY area, definitely stop by and try it out! 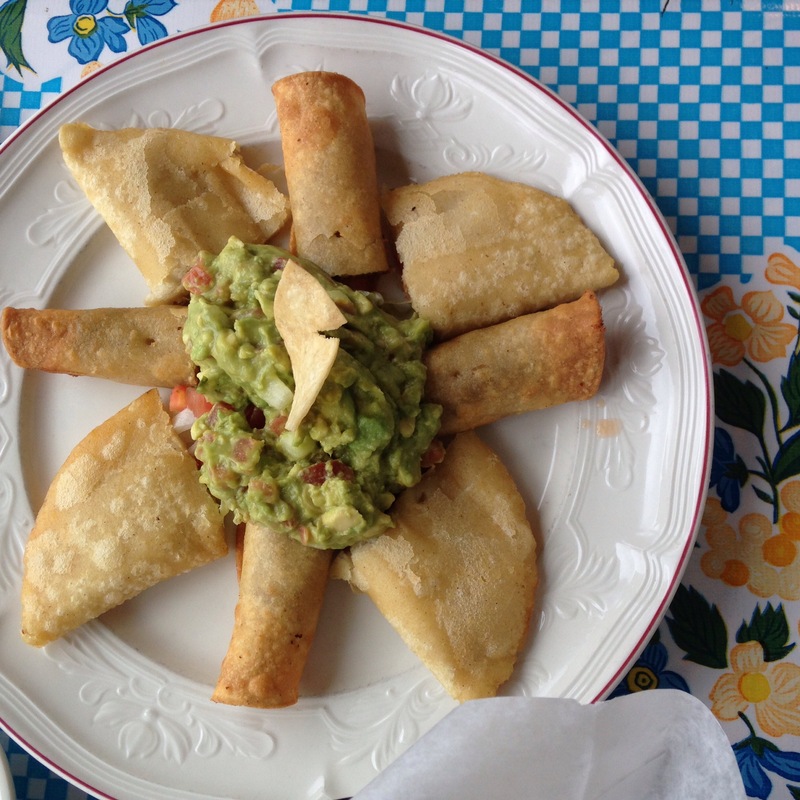 If you live around the NJ/NY area, then you should definitely try out this small Mexican restaurant, located in Chester, NJ. It’s call: Fresco Mexican. The shop itself is fairly small, but it’s big enough for their business. They have seating inside and outside, we chose to sit outside because of the nice breeze that day. 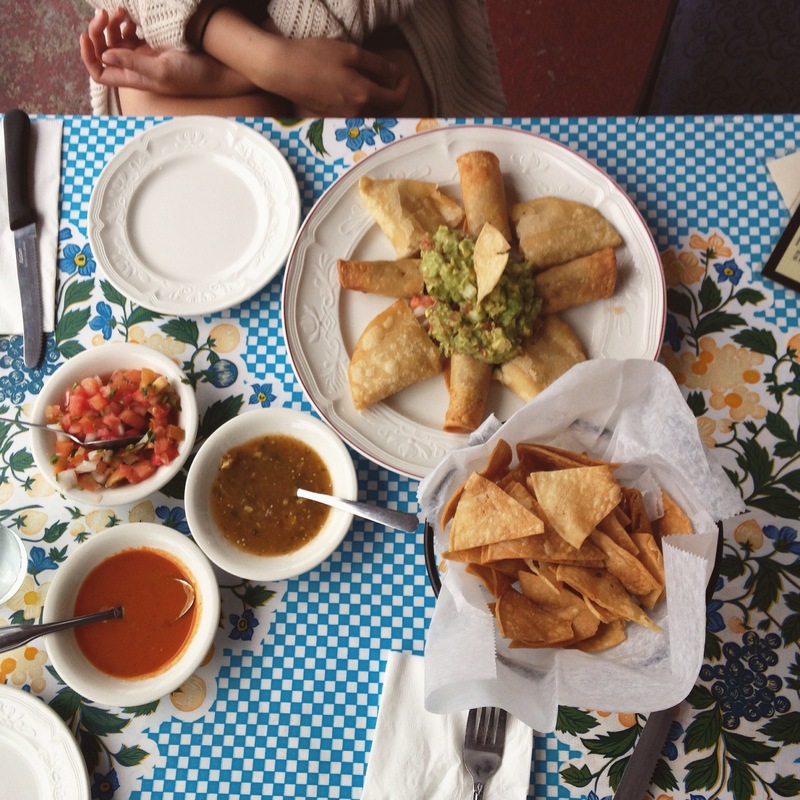 We ordered the: Bocadillo Platter, which includes Chicken Empanadas, Beef Taquitos, and Guacamole. Everything tasted SO homemade and so delicious. The guacamole tasted so fresh and chunky, just the way I like it. Every sitting also comes with a complimentary chips and salsa, with mild and hot sauce on the side. The chips were so crispy, almost tasted like pita chips, but better. The salsa was so chunky and definitely homemade. The mild sauce was not too spicy, but spicy enough to give it a little flavor. The overall setting of the restaurant is so relaxing and definitely a great place for couples for their first date or friends that want to grab a quick lunch. However, I didn’t really enjoy the staff too much. Don’t get me wrong, they were polite, but our server kept coming to our table asking if we’re going to order anything else, and when we said no, they kept coming out trying to clear our plates when we weren’t even done. It almost felt like they wanted us to leave ASAP. But like I mentioned before, the food is amazing, I would definitely go back for the food! Have you ever been there before? If you did, comment below! Let me tell you about Mitsuwa, it’s located in Edgewater, NJ. It’s a supermarket that mainly sells Japanese food items, but there are also restaurants inside. The supermarket itself sells fresh meat and fish, along with fresh vegetables and other non-perishable items. My family and I went to Mitsuwa mainly for lunch, but we ended up buying food for our hot pot dinner the next day. While we were looking for food at Mitsuwa, I stepped outside my comfort zone and got something other than a fried pork cutlet over rice (which is delicious, btw!). 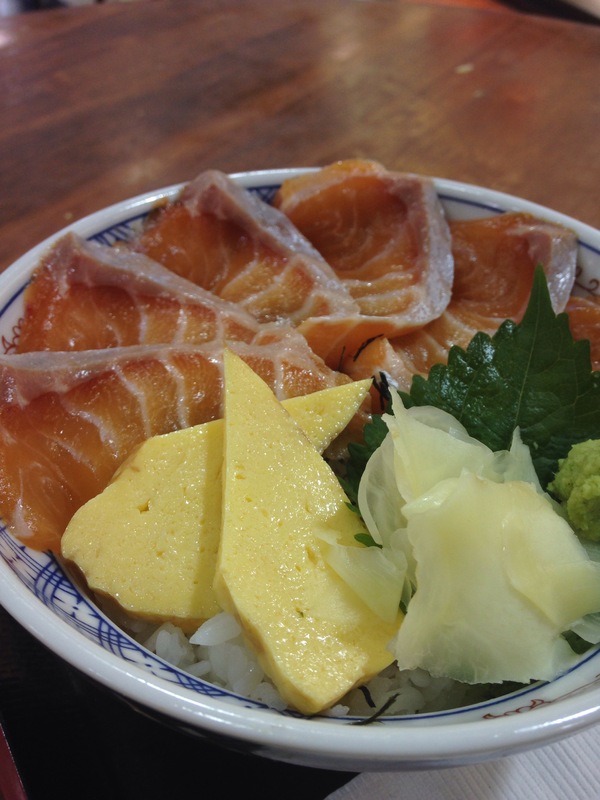 As you can see from above, I got myself a bowl of salmon sashimi over rice. It came with a bowl of miso soup and a small container of soy sauce. The salmon was so tender and juicy, and I don’t usually have sashimi! The rice was so perfectly moist and sticky; the miso soup was the perfect amount of saltiness and water. Overall, my meal was a 10/10. After lunch, my sweet tooth was yelling – “get me something sweet!”, so I looked around. 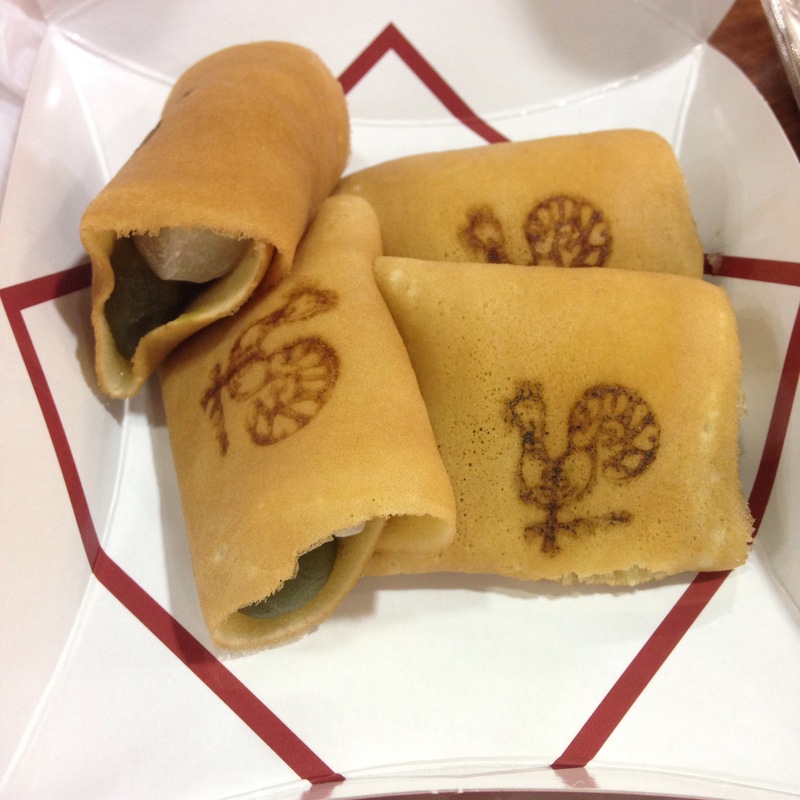 I usually go for this pancake like substance, where they put red bean paste inside, and mold it into a fish shape. But, I got something different this time. I got myself a black sesame ice cream from Matcha Love. Let me tell you about this ice cream – it was SO creamy and the black sesame taste was SO strong. You were definitely getting what you paid for. Lastly, we also tried something new. I’m not sure what they are called – but they made the dough right in front of your face. It almost taste like a pancake, with a crepe texture. They filled it with green tea and red bean paste, with mochi on the side; so we got two of each. It was really tasty, but definitely not worth $2.50/piece. However, if it’s your first time trying it, I’d splurge on it. Have you guys ever been to Mitsuwa?? Who doesn’t love ice cream? I know I do. ;P It’s such a fun treat to have during the summer time, when it’s super hot and super humid out; it helps you cool down your body temperature. Other than that, it’s also delicious! …but remember to always eat in moderation. So where are all my Jersey peeps at?? This place is located in Ledgewood, New Jersey, right next to a Toyota Dealership. 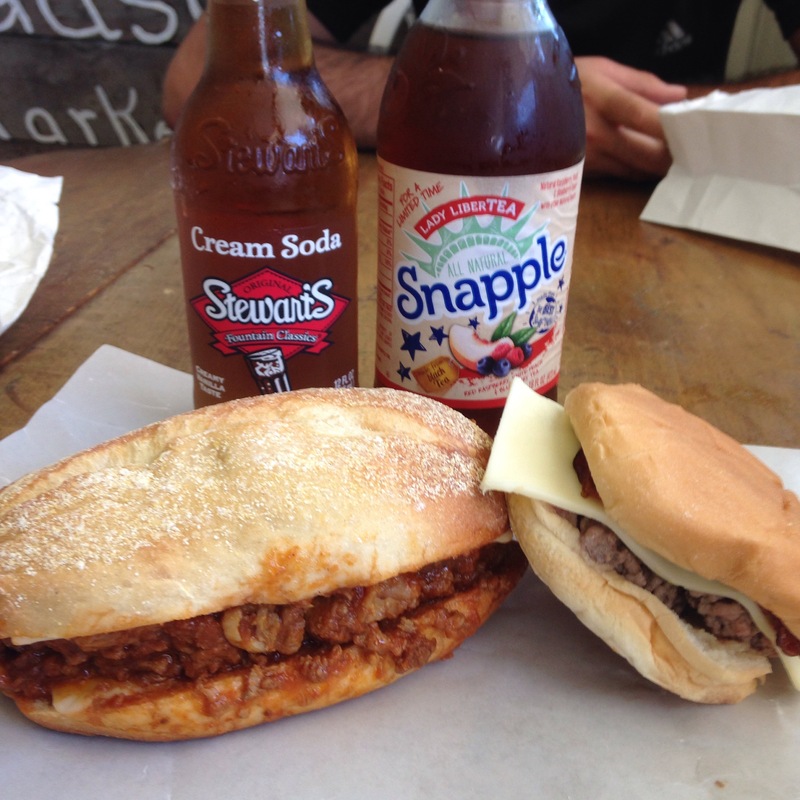 Cliff’s has been around for a loooooong time and it’s still just as good as it was back then. If you don’t believe me, check this review out! 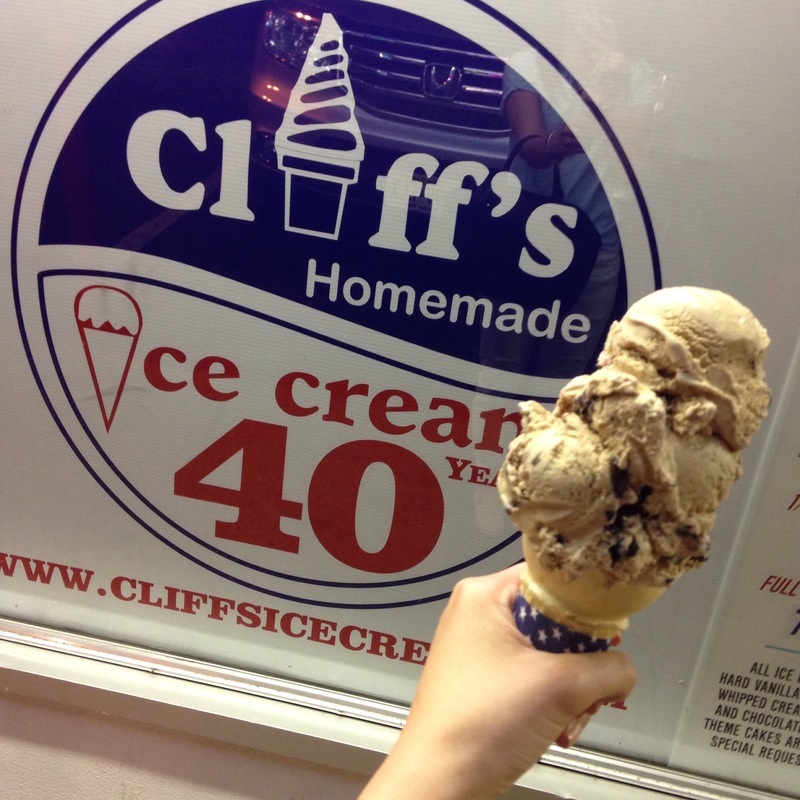 Cliff’s was named one of the top 33 best ice cream places in America, that’s crazy! !